Micronica distributes the complete range of high quality Computer Network and Video Capture products. As an Industry Leader in Computer Video Capture and Networking, we have the vital technical knowledge to make it work for you. Established 1983. And 100% Australian owned. Check out some of our great products. So much more than just Hardware and Internet ! Video Capture and Editing made EASY! MP3 Wristwatch Video Player+2GB USB Flash Drive+FM Radio!! 2 Gbytes of Storage. AND its a WRISTWATCH! What does Micronica have to offer ? A BIG range of Products and Services. Hardware, Software and System Integration Services to make the complete solution work for you. - Other Computer Companies come and go. So many have GONE BROKE! CLICK HERE for a list to remind yourself of just some of "The BIG Ones". - Only for our Registered Internet Subscribers. From our ftp site. 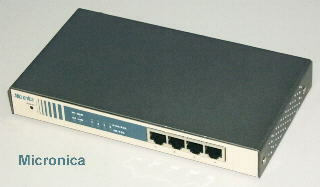 Read all about our "MICRONICA HiP-400" Internet Router and Sharer! "You are better off looking at the Micronica Hip-400 rather than the NetComm" - Australian personal Computer Magazine. Take a look for yourself! Also check out our FULL range of Micronica Wireless Routers and Internet Sharers!! 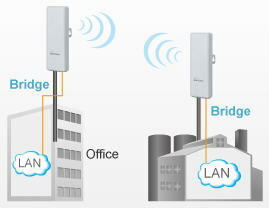 Read all about our "MICRONICA Jumbuck" Modems ! Voted BEST "BANG FOR BUCK" MODEM BY PC WORLD MAGAZINE and FASTEST THROUGHPUT BY Internet.au MAGAZINE.OUT OF ALL 10 MODEMS TESTED !!! Read all about our MICRONICA Motherboards ! Our MICRONICA MachSpeed G586TVX Motherboard was VOTED "THE BEST" FOR PRICE AND PERFORMANCE BY PC MAGAZINE AGAINST 11 OTHER MOTHERBOARDS !!! Take a look for yourself. Also check out our FULL range of Motherboards !! Videonics, Vitec and Focus Enhancements VGA-TV Converters and Professional Video products. MICRONICA is the exclusive Authorised Australian Distributor ! Call us for the Videonics and Focus Enhancements TView range of high quality, award winning VGA to TV Converters, ComputerEyes and InVideo Video Grabbers and Video Conferencing Kits. For Desktop and Notebook Computers. PCI and USB. Internal and External Kits. Snazzi* Video Grabbers, Digital Signage, High Definition Video and Video Conferencing. MICRONICA is the exclusive Australian Distributor ! Call us ! Darim Video Grabbers, Video Conferencing, Surveillance and Video Editing Systems. MICRONICA is Exclusive Australian Distributor ! Complete MPEG, Video Conferencing and Internet Video Broadcasting solutions. Cloud based Song Lyrics Presenter Software ! by the presenter at the front of the Auditorium in Real Time. As well as featuring a built in intelligent Internet Lyrics Search and Bible Search functionality. Worship Words is 100% Totally FREEware and Cloud based. No software to install on your computer or Smart Phone ! Just "Click and Run". Try it if you cant't believe it ! Available NOW !! Great performance. Cost effective. For IBM PC and Mac. For Desktop and Laptop Computers. BARGAIN BASEMENT SUPER SPECIALS !!! LOTS of great bargains to take advantage of !! Check it out ! Always something new. ONLY available through this Internet site. You MUST mention it. The Digital Doctor Speaks to you ! Lots of FREE computer hints, help and advice...Streaming Audio !! MICRONICA provides professional services to get on line and ADVERTISE WORLDWIDE with your own personalised WEB PAGE. From as little as $50 per YEAR ! Free games software and other funny bits ! The Realm of Computer Christianity. Micronica is a Christian oriented company. Find out more about God. And try the Bible Search facility. It is amazing how many common sayings are quotes from the bible ! Lots of interesting Internet things to play with and learn about. Great for internet newcomers.